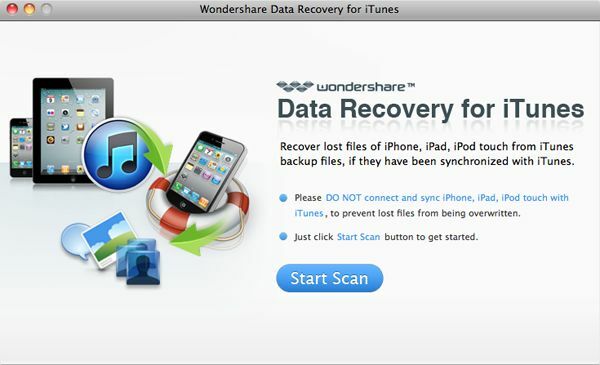 Does what iTunes doesn't - selectively restore iPhone/iPod/iPad data. Recover messages, contacts, notes, calendars, etc. from iTunes backup. 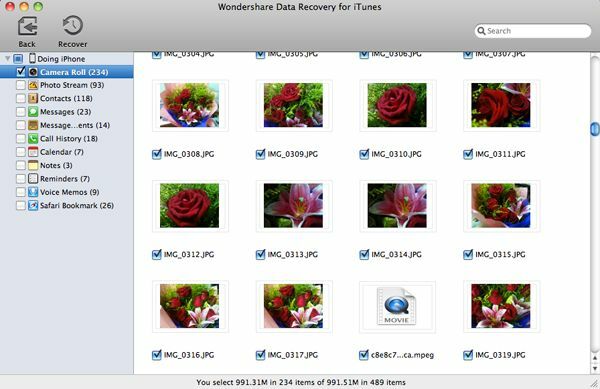 Recover camera roll photos and videos taken with your iPhone/iPad. Automatically detect iTunes backup files and run without opening iTunes. Deleted iPad files by mistake? Broke or lost your iPhone? Don't panic if you've ever synced your device with iTunes. 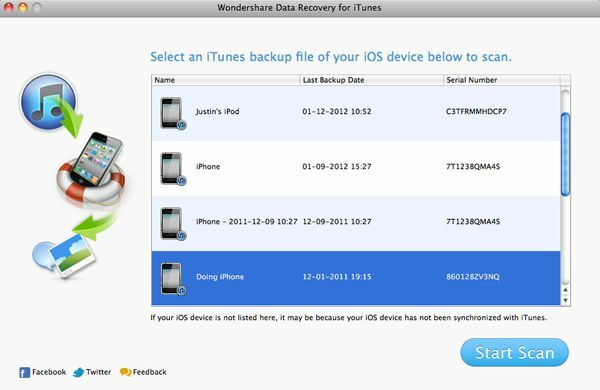 With WS Data Recovery for iTunes, you can probably get back your data in a few clicks. 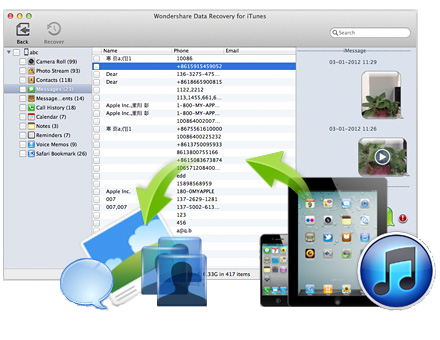 Different from iTunes' restore feature, this data recovery for iTunes software can search your Mac for iTunes backup files and extract all files in the selected iTunes backup files. Then you're able to choose only those files you want to restore, or easily export all files to a safe place. 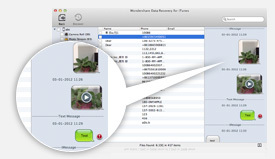 Automatically find backup files that were generated when you synced your device with iTunes. 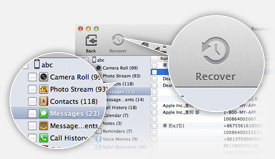 Extract all files in iTunes backup files and display content in well-organized categories like Camera Roll, Photo Stream, Contacts, Messages, Notes, Safari Bookmarks, etc. for easy recovery. Works without connecting your iOS device and runnin iTunes. View photos and vidoes in the original quality. Review contacts details like name, phone, address, email, etc. Read SMS and iMessage messages and message attachments. Search the found files by keywords to locate files insantly. Check found files one by one or all files in one click. Specify a safe location to store your recovered files. Supports for recovering up to 11 files types. Step one: run Data Recovery for iTunes and click Start Scan. Note: Disable the Auto-Sync feature in iTunes and don't click the Sync button in iTunes. Step two: all iTunes backup files on your Mac will be found. Choose the one for your device. This software took all my worries away when I was able to recover the files I accidentally deleted on my iPhone. Now I'm happy that my files are back. Thanks a lot.